John Wilson Croker, forgotten man of the 19th Century, is given new life here. Drawing on previously neglected and unpublished Croker archives held in U.S. university libraries as well as his own neglected writings and contemporary newspaper sources, Portsmouth provides a substantial re-interpretation of the life and times of Croker. Categories: Biography / Memoir, 19th Century History, Political History. It is as a reformer that Croker is best known to us – Parliamentary, social and economic – and a staunch believer in Catholic emancipation. In his position as parliamentarian, ‘spin doctor’ and confidante to Sir Robert Peel and the Duke of Wellington, Croker probably had a greater influence on ministerial policy and popular opinion than all but a handful of his contemporaries. Croker was not just a politician, however, but a writer and critic, and maintained robust friendships and enmities with many eminent literary figures of the day. Among them were Walter Scott, Shelley and T.B. Macaulay. His literary enemies efforts to vilify him as a Tory opponent of all reform successfully conceals his much more significant political work and ideas. 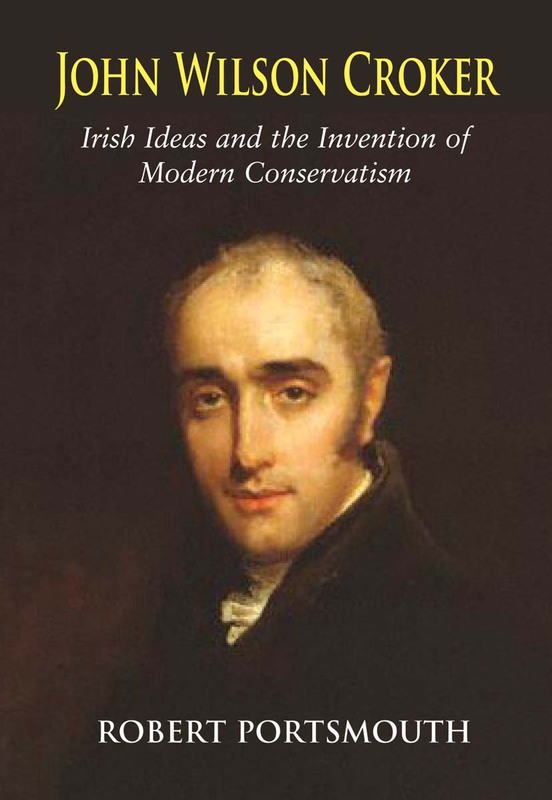 However, Croker’s most enduring legacy is surely his political principles of prudent reform, yet firm defence of the constitution that ‘invented’ the new Conservative Party and succeeded in laying the foundations of modern parliamentary Conservatism. 3 The Battle Against the Reform Act and the ‘Invention’ of the Conservative Party: 1831-33. 4 The First Reformed Parliament and the Press Campaign to Raise the First Conservative Ministry: 1833-5. Robert Portsmouth lectures in 19th century political and cultural history, the history of the press and Irish ideas at NUI Galway.